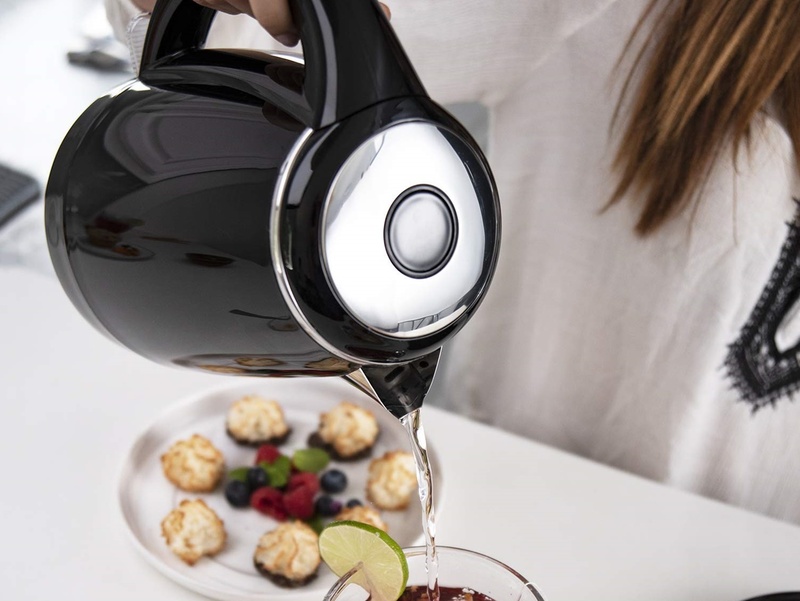 Multi-function countertop devices are all the rage these days, with a range of options offering cooks everything from electric pressure cooking to yogurt-making. 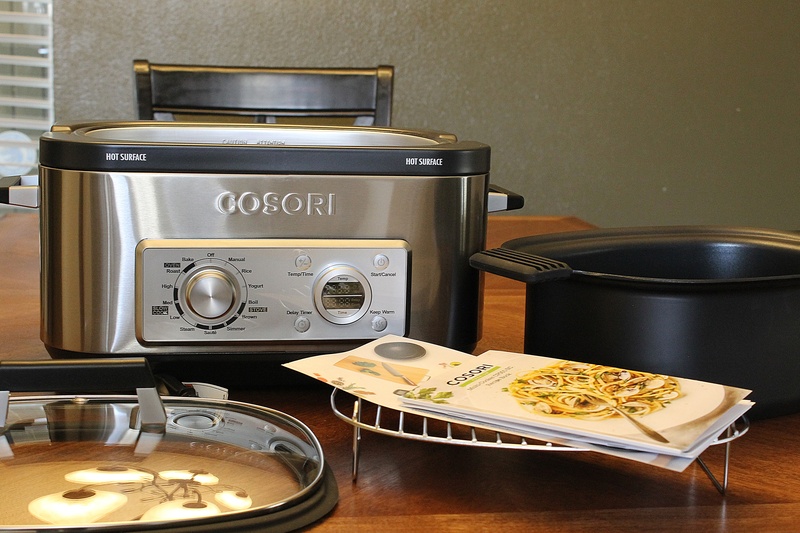 Cosori’s 6 Quart 11-in-1 Multi-cooker is the most recent product we’ve had a chance to test out. 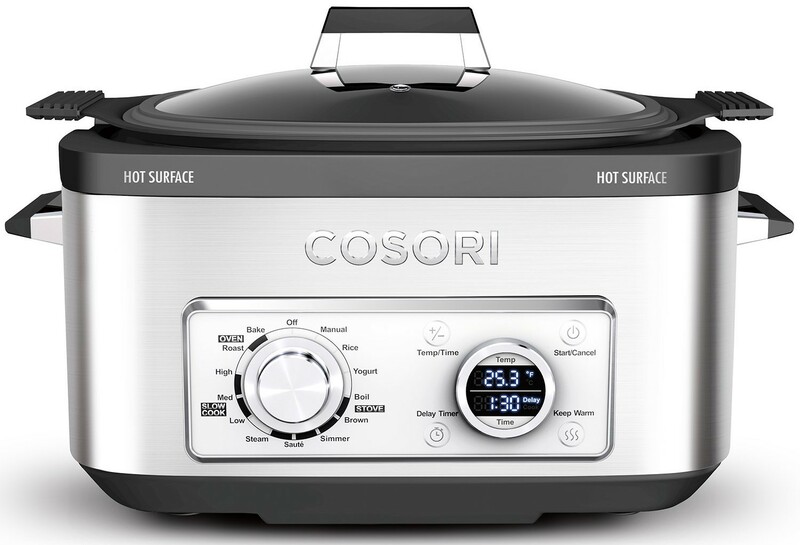 Cosori sent us this multi-cooker to test out, and we were already familiar with them thanks to our experience with and love of their electric pressure cooker (you can check out our full review of that one here). The brand has started offering more and more kitchen products ranging from these multi-cookers to blenders. Essentially, this is an alternative to your stove and oven. The functions have various settings (hence the “11-in-1” moniker), so you can do things like simmer, steam, roast, or cook rice in various modes. Unlike the electric pressure cooker (which we tried out earlier this year), the Multi-cooker has a rectangle shape and very different display and adjustment features. It measures 17.7 x 11 x 9 inches, has a 6 quart nonstick cast aluminum interior pot, and weighs in at 15 pounds. It also comes with a steam rack. It comes with a recipe booklet and Cosori offers some additional recipes on their website, which I was grateful for as I wasn’t completely sure what to do with it initially. I think that covers the basics, so let’s dive into the review. Right out of the box, the Cosori is impressive. It looks well designed and easy to use. I think it looks a little fancy, even. It’s a bit heavy, but the insert itself is actually very light. It’s nonstick cast aluminum and it appears to be easy to clean and good at being nonstick (we’ll see how well it does soon). But, it does worry me a little because it is so lightweight. I wonder if it will crack easier or not last long? The biggest issue I see with this is the size. It’s a large cooker, and I don’t think I’d have anywhere to store it without some major overhauling of my cabinets. The interface is great. Plenty of multi-cookers (in particular those electric pressure cooker types) can be a little tricky and aren’t very user friendly right out of the box. The Cosori Multi-cooker has simple knobs and clear labeling so you know exactly what you’re doing. The included recipe book also does a nice job of providing average times, temps, and settings for basic uses. I opted to try the Beef Bourguignon for my first test, following the recipe exactly instead of using my go-to recipe or trying to play with technique or flavor — I wanted to try all the functions and cook it exactly. The food turned out delicious. I served it over mashed potatoes and without rolls (because I burned them. 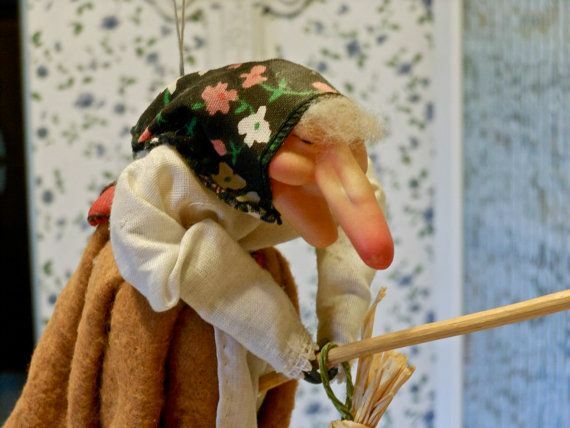 Sob.) Browning, simmering, and boiling all appeared to take about as long as it would on the stovetop. I found that the adjustments were easy to figure out after a moment; you have to turn the dial to your desired function, then hit Temp/Time to adjust the temperature or time using the other turning dial. You also have to remember to hit Start/Cancel in order to get it going. I also found that if you want to change either of those, you have it hit Start/Cancel again to cancel it and start all over. These are small quibbles but I didn’t like not being able to adjust it without starting over. I also didn’t like that every function automatically starts a timer. I’m glad I started with this meal and had the chance to use the multi-cooker in this way. 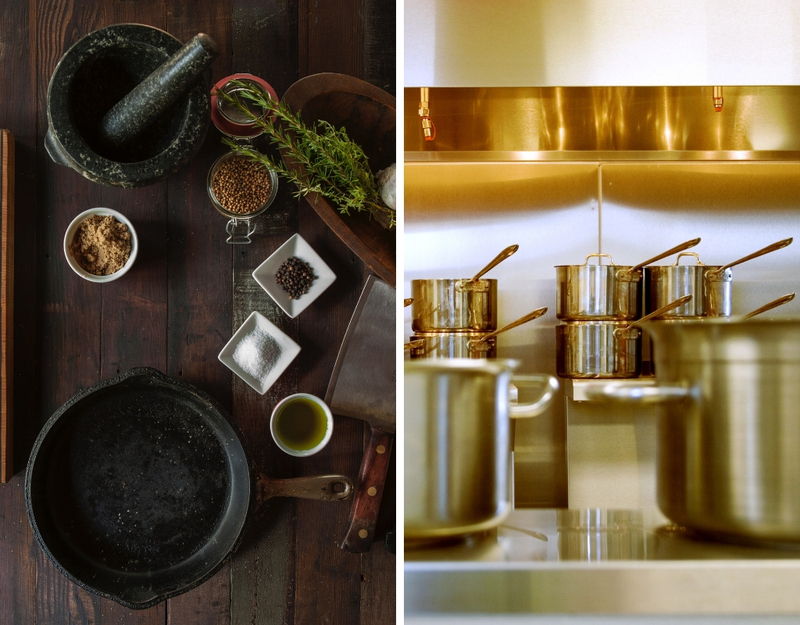 I feel like I have a better understanding of how to use it — at least for stovetop type cooking. Unfortunately, baking did not go well for me. I again followed a Cosori recipe exactly (this one for chocolate chunk cookies), but found the directions incomplete; the cookies were terrible. I’m not even going to share the sad pictures I took of them because they just look awful. The directions are terrible. The directions say “SELECT Bake on the multicooker, set the timer for 35 minutes, and press Start/Cancel.” This led me to believe (before starting) that I put them in then, rather than preheating the multi-cooker. As I finished the dough, I realized it needed to preheat — luckily it did so quickly. A strange smell had me worried. I noticed an odd smell when I made the previous recipe, but it was more pronounced this time around. I don’t know if it’s just because the device is new or what, but it was not good. I could swear the sad cookies had a funky taste that resembled the smell, but I’m not 100% sure that’s true. It takes waaaaaaay too long for too few cookies. This recipe has you bake the cookies in the cooker for 35 minutes. You can only fit 4-6 cookies on the rack. I opted to put in six and they flattened out and tasted awful. Because it was so late, I didn’t finish making the rest, but I still think even doing four wouldn’t work well. Inserting and taking out the rack was sketchy. The directions didn’t say how to get the cookies into the cooker, so maybe I was supposed to add the cookies to the preheated rack and take them off it when they were done. Instead, I put the cookies on the rack, then put the rack in once the cooker came to temperature. I had to remove the whole rack to get them out. This was a giant pain — you can’t fit oven mitted hands in there and the insert is hot. Bottom line? I would never recommend using this for baking. I can see how a crumble or something that goes in the insert might be fine. But the length of time required often isn’t practical: even their recipe for brownies calls for 2 hours and 45 minutes. That’s too long for brownies in my book. The pot insert and lid are dishwasher safe, but the insert does not fit well into my dishwasher because it’s so large and the handles make it awkward. However, it was easy to hand wash.
There’s a gasket that fits onto the lid and it’s a bit difficult to clean, dry, and put on the lid. You’ll use it in an RV or for potlucks and such. It’s definitely versatile, and I read some great reviews where users fried or roasted chicken with great success, and plenty of users who love it for the slow cooking functions. I do see the value in this multi-cooker for something like Thanksgiving — it would be awesome to use to cook a side and free up stovetop or oven space. Or, if you like to roast chickens frequently, this might be a great tool. It’s also probably a great option for summer cooking so you don’t have to turn on the stove or oven. The reviews I’ve found online as of right now are overwhelmingly good. There are a few critical reviews that discuss issues with the insert pot coating, and that’s something I would be worried about as well. However, Cosori’s customer service is great, so I would expect that they would replace the pot if it’s a defect without hesitation. We’ve always been impressed with their customer support. What are your thoughts on this multi-cooker? Let me know in the comments — I’d love to hear from you!